Purple means Plums, Blackberries, Blueberries, , Acai and all things good and healthy. When you see these beautiful colourful fruits on your plate, you just know your meal is going to be overflowing with health and goodness. 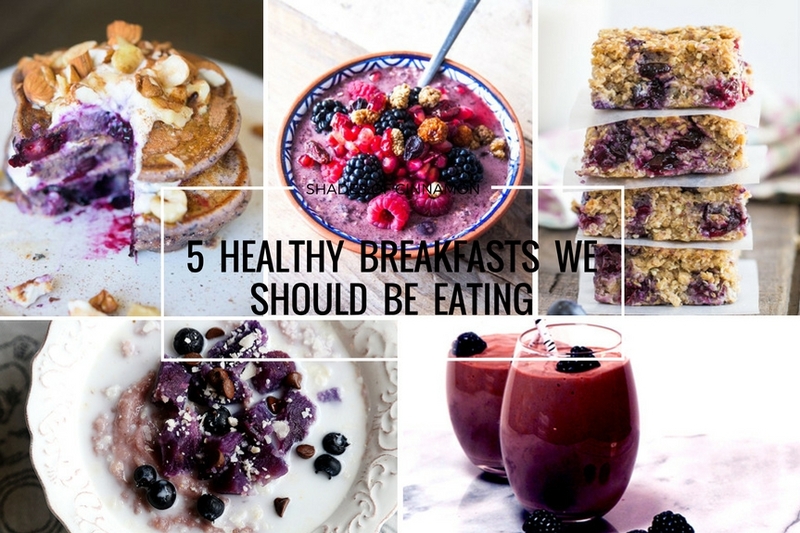 Here are 5 tasty breakfast ideas from around the net to make your weekend as bright as it should be. Acai Bowl with oatmeal, acai, pomegranate and mixed berries by Girls in Shape. 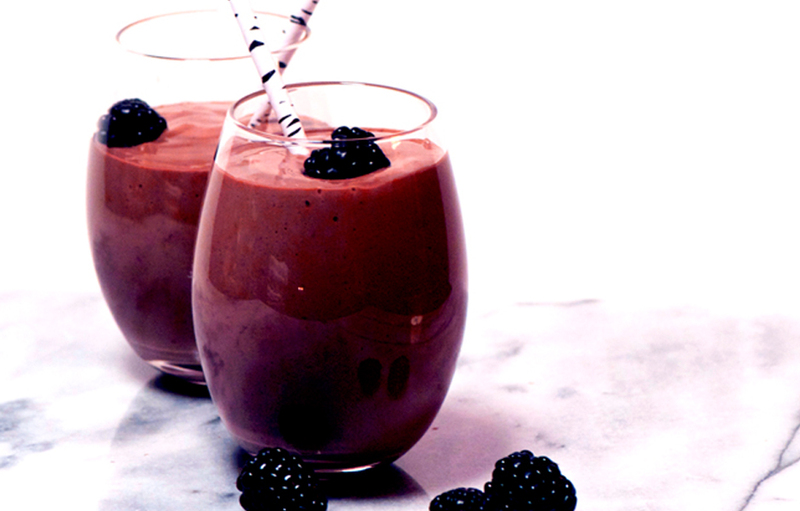 Blend banana, strawberries, blackberries, and raspberries with acai powder, almond milk and ice. Once blended, pour into a bowl. Top with blackberries, blueberries, granola, cranberries and pomegranate seeds. It can’t get healthier than that. 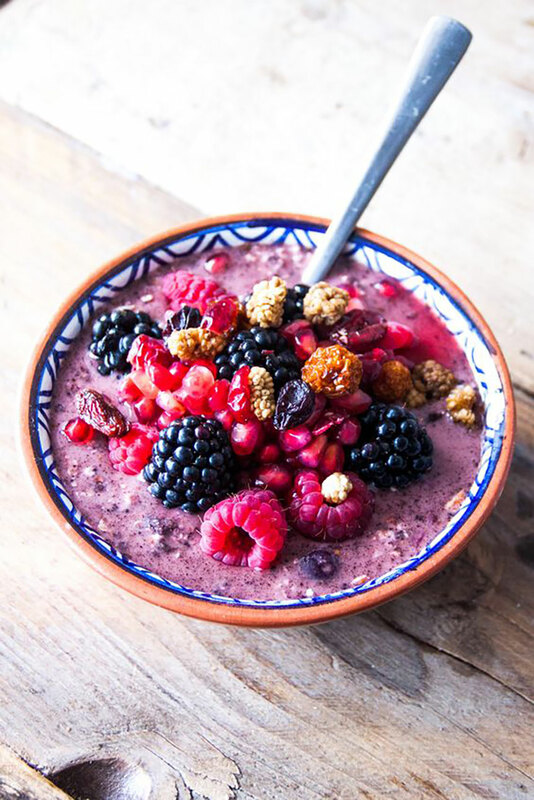 Fitness Magazine has 5 acai bowl recipes to try here, or Popsugar’s delicious selection here . 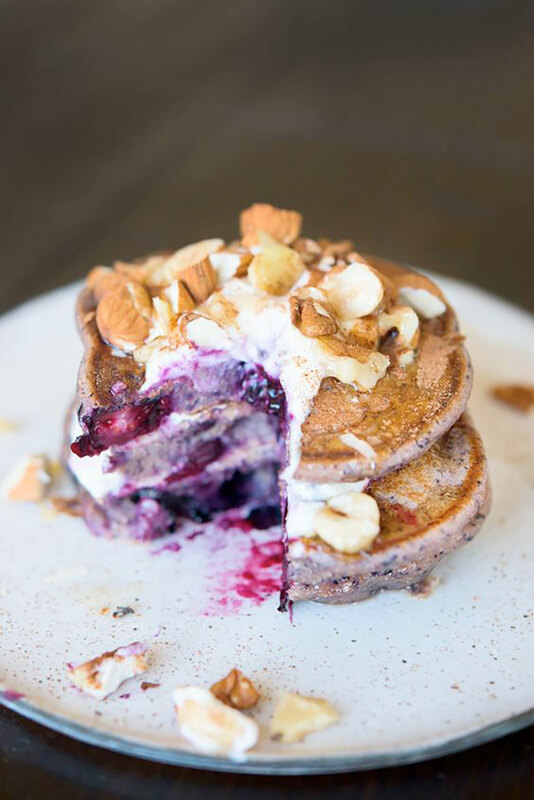 Jamie Oliver’s Blueberry Blender Pancakes – Jamie turns a Smoothie into Pancakes with great step by step pictures on Buzzfeed. Blueberries, banana, chopped nuts, honey and cinnamon makes this a “must try” recipe. Gotta love this guy!!!!! 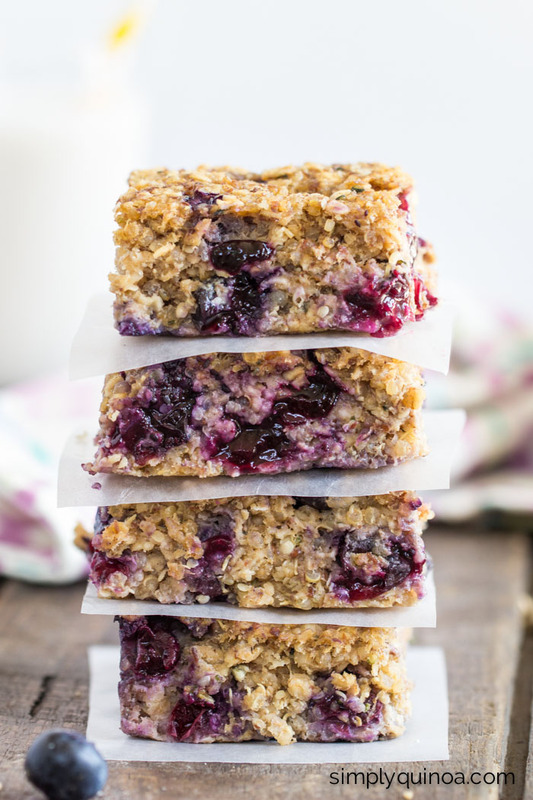 This is just one of Alyssa’s delicious breakfast bars that can be seen on her blog Simply Quinoa. 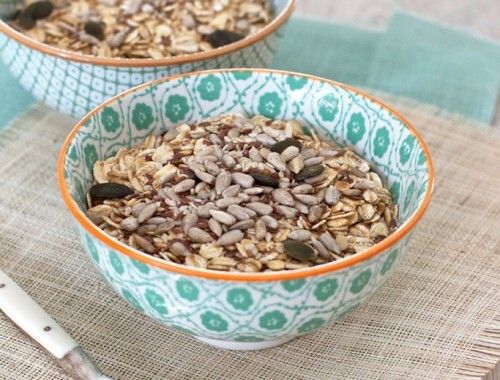 Its a perfect on-the-go breakfast that will keep you full for hours. Head over to her site to see more of her amazing ideas. If you are interested in the Bountiful Benefits of Blueberries , Foodal has everything you need to know. 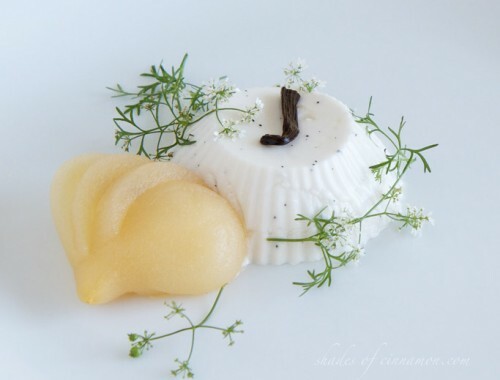 This recipe is from the Vegan Blog Devine Healthy Foods. 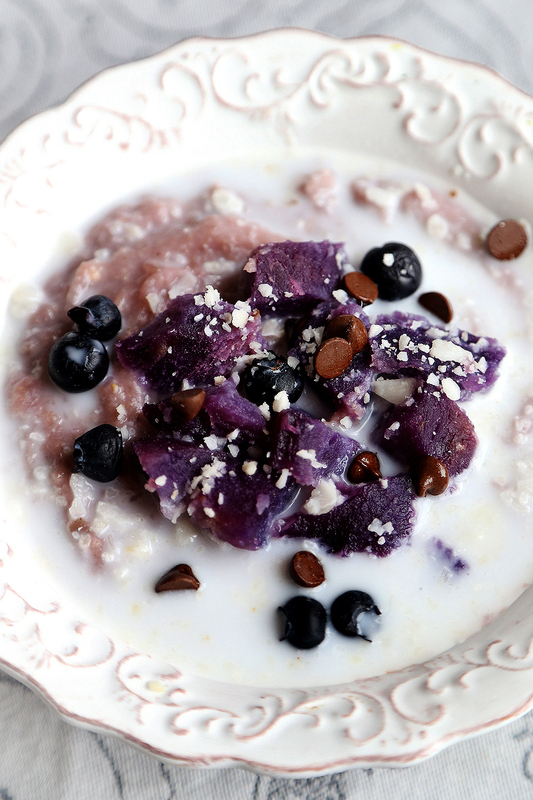 It’s made with purple sweet potatoes (yams), coconut milk, grape juice with rice and oat flour, and is topped with coconut, blueberries and vegan chocolate chips. This delicious smoothie is from The Bon Appétit Test Kitchen and is packed with banana, blackberries, spinach leaves, ginger and fresh orange juice. Great collection. Can’t be more colourful than this which also translates to more healthy. Are you done your Italy trip Ev? I was thinking about you , when I saw the news. Pray for everybody.. I leave for Europe in two weeks Ratna. Such devastation in Italy and so many lives lost and families torn apart. Mother Nature can be very cruel sometimes. Thank you for thinking of me Ratna. 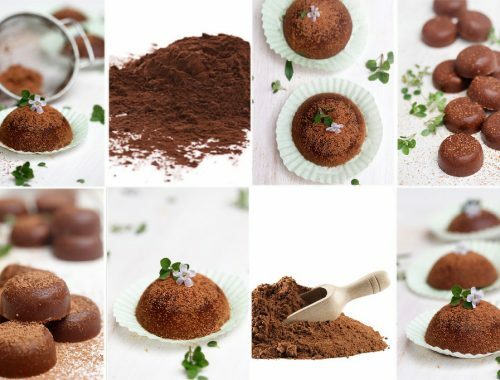 Amazing, thanks for sharing these delicious and healthy breakfast recipes.